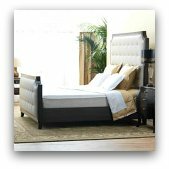 I was in love with this bed until I slept in it for one night. So far, so bad. Too soft, too hot. I have never heard of buying a mattress and having it sink down in just one night. The foam top has permanent impressions in it. Sunk like the Titanic. I wake up with shoulder pain and back pain. I spend half the night trying to balance myself so I don't roll into the sagging portions. I am 5' 6", 158 lbs. I now have night sweats and no sleep. Sorry to hear about your predicament Lee. If you've only had it for a little while, I'd suggest bringing it back to your retailer for an exchange immediately, before the comfort guarantee runs out. Join in and write your own page! It's easy to do. How? 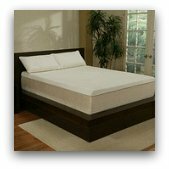 Simply click here to return to Simmons Mattress Reviews.